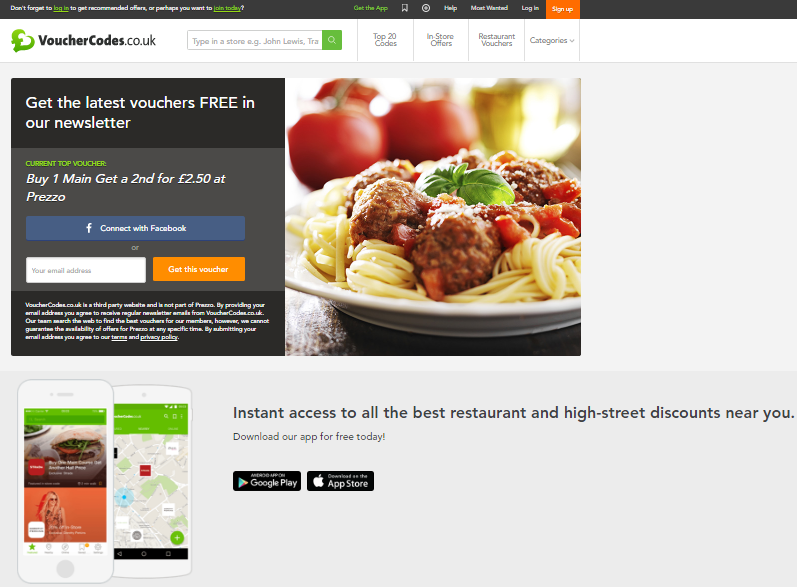 Vouchercodes.co.uk is one of the most famous voucher websites in the UK. It offers a great variety of voucher codes, printable vouchers, 2 for 1 deals and a range of other offers for anything and everything you can imagine. We definitely recommend it! Great design, functionality, customer support and user experience! Top Sales section features some of the biggest discounts from the highstreet. Printable Vouchers featuring Restaurant Vouchers, Gym Vouchers, Days Out Vouchers and Theme Park Vouchers, something for all the family! Student Codes and Deals for those on an even tighter pinch! Sign up to the weekly newsletter to receive the 20 Best Voucher Codes via email, along with 7 million others! Customer Reviews regarding Vouchercodes.co.uk through dooyoo.co.uk gives honest, informative feedback. Many vouchers are restricted to print, meaning you cannot use them if you find them once you’ve already left the house! Don’t forget to visit Most Wanted, Vouchercodes.co.uk’s partner site! Vouchercodes.co.uk has something for everyone. With a range of discounts on offer, it can suit those on a budget as well as those looking to splash out. Also, with a large variety of categories covering fashion, sports, technology and much more – it’s pretty hard not to find something that you’ll like. Go back to London Vouchers category to find more websites and companies offering discount vouchers and offers.